I mentioned these casual eating spots in a previous post about things to do in Singapore. Don’t be deterred by the not-so-chic ambience here. Hawker centers are low-key, outdoor food courts with numerous food stalls offering cheap, delicious meals. Take your pick. You have endless options of authentic spicy and flavorful noodles (other options, too!). Perfect for a quick, flavorful meal in between all the sightseeing. Hainanese chicken rice is a Chinese dish reinterpreted and can be found at all kinds of establishments. Based off a dish called wenchang chicken from Hainan—hence the name—a whole bird is poached in water and the resulting stock is used to make the accompanying rice. The two are served with various dipping sauces of grated ginger, hot chili sauce, and soy sauce. 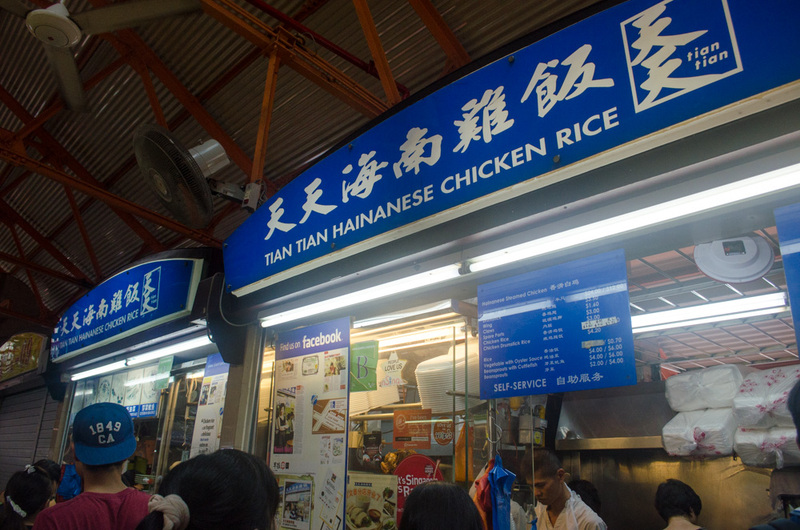 The rice is packed with flavor, the chicken is cooked through but moist, and it’s considered a national dish of Singapore. 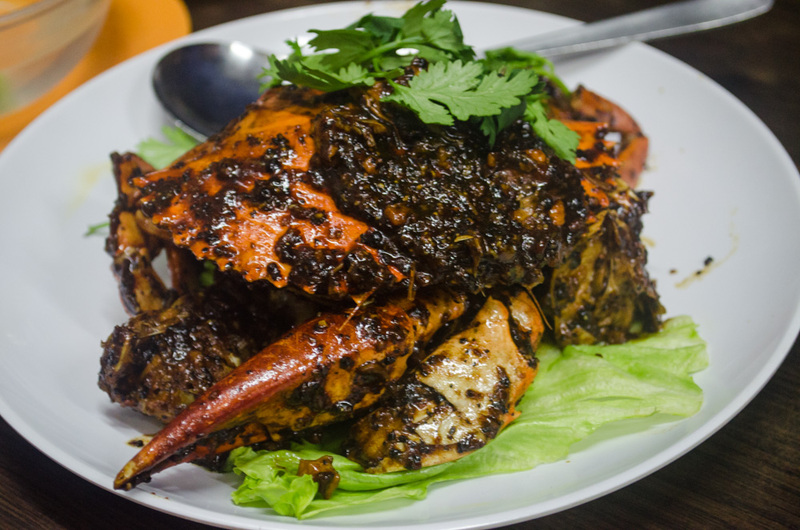 Another dish that’s as equally regarded is black pepper crab. Fried in a generous amount of black pepper, oyster sauce, and a few other things, the sweet flavor of the hard shell crabs comes together with the robust seasonings for a well-rounded and powerful dish. A little disclaimer: this ish gets messy. But, totally worth it. Leave the rings at home and go to town on that crustacean. Have you been to Singapore? 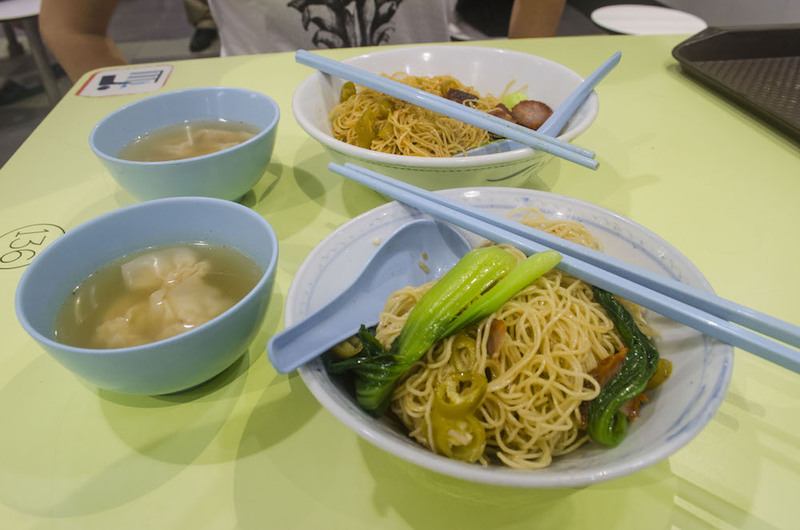 What’s your go-to grub in the Lion City? 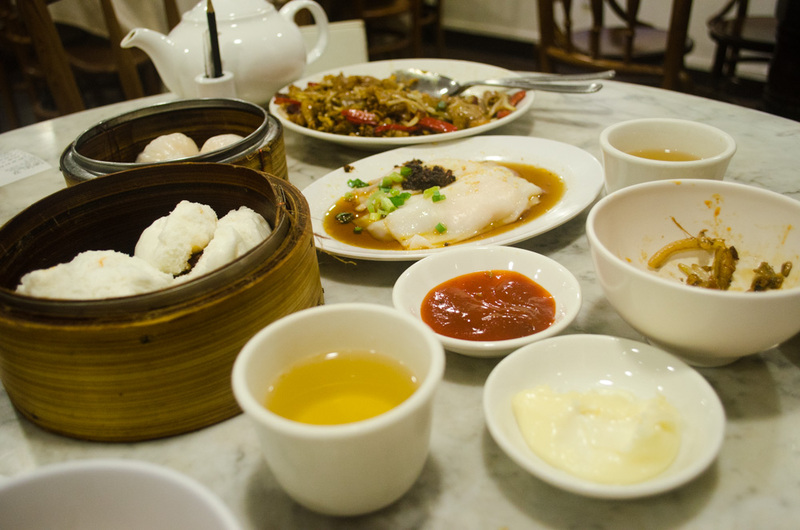 Omg, those dim sums and noodles look delicious! I’m sure it was a lot of fun ‘ researching’ this post 😉 Trying all the good foods out there. Thanks for sharing! Haha yup, the best kind of ‘research’! I agree, Singapore’s airport is really great. I love Singapore Airlines, as well. I love Hainanese chicken rice, too! Luckily, my partner found an authentic place here in Tokyo, so we can have it whenever we want! I LOVE Hawker noodles!! They are my absolute favorite. I think I had them like once a day when I was in Singapore!! I was just in Singapore for the first time in February. I loved the food. I had laksa, spicy crab and many other delicious foods!! It is a foodie city for sure! Wow these all look so unreal! I’d love to try the Black Pepper crab! I maybe heading to Singapore in July! Thanks for the great tips and awesome pics! So yummy and delicious and I totally agree that you don’t need to spend a fortune to get great food in Asia. 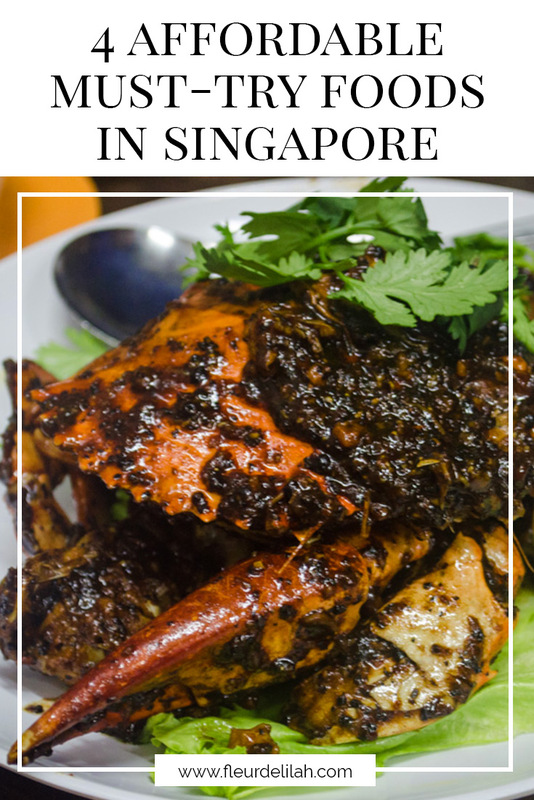 My husband absolutely loves the chilli crab, but the black pepper crab sounds delicious too. Considering I haven’t had breakfast yet this article made me very hungry. Especially the Black Pepper Crab. Great tips and photos.